J.R.R. Tolkien fans need to know about Tolkien: Maker of Middle-earth, a new exhibit in The Weston Library, Oxford containing an incredible collection of papers, paintings, and other archival material from the author’s vast career. If you can’t attend in person, you can pick up the exhibit catalogue, a hefty book packed full of gorgeous, fascinating images. 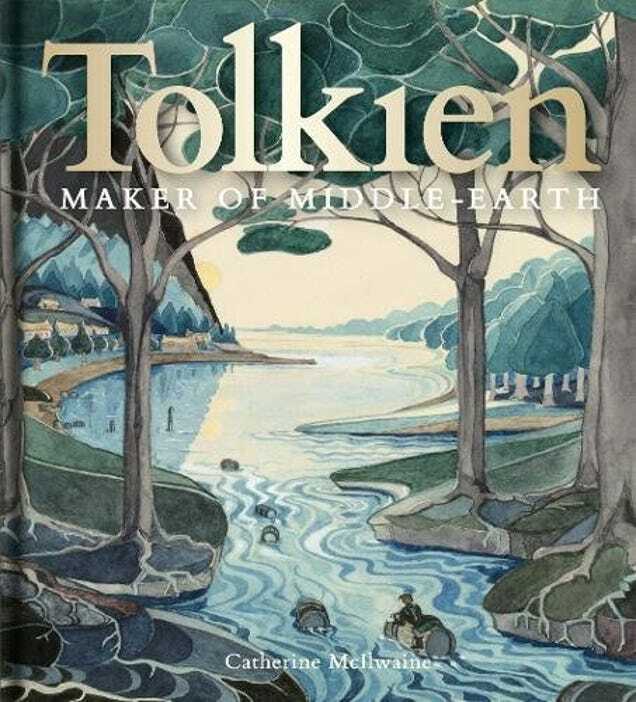 Tolkien: Maker of Middle-earth explores the huge creative endeavour behind Tolkien’s enduring popularity. 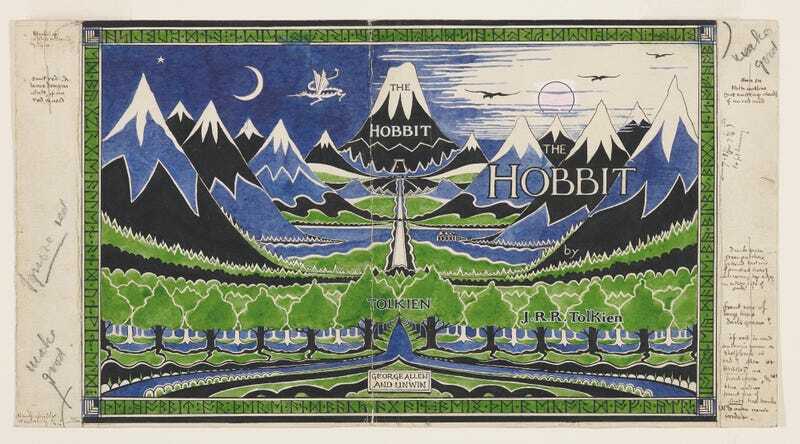 Lavishly illustrated with three hundred images of his manuscripts, drawings, maps, and letters, the book traces the creative process behind his most famous literary works — The Hobbit, The Lord of the Rings, and The Silmarillion — and reproduces personal photographs and private papers, many of which have never been seen before in print. 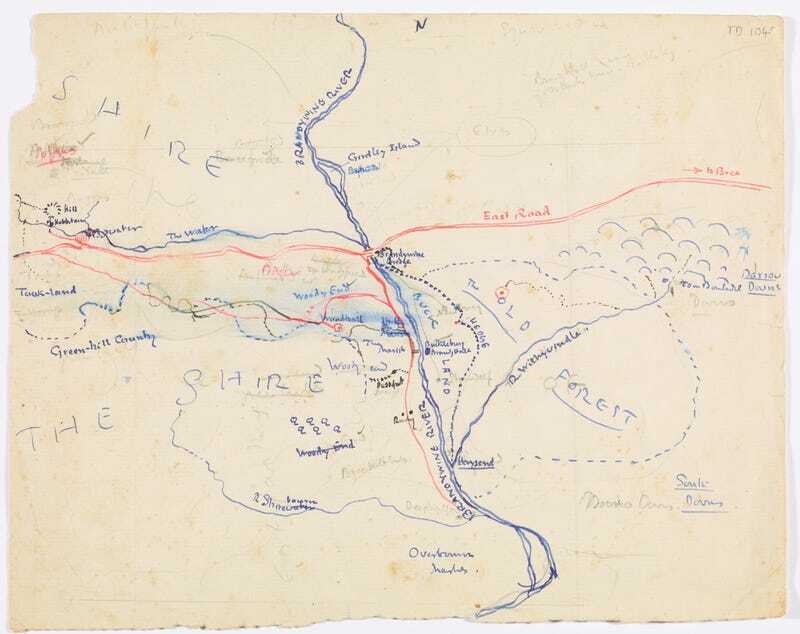 We’re thrilled to share three exclusive images from the book, starting with Tolkien’s first sketch map of the Shire. 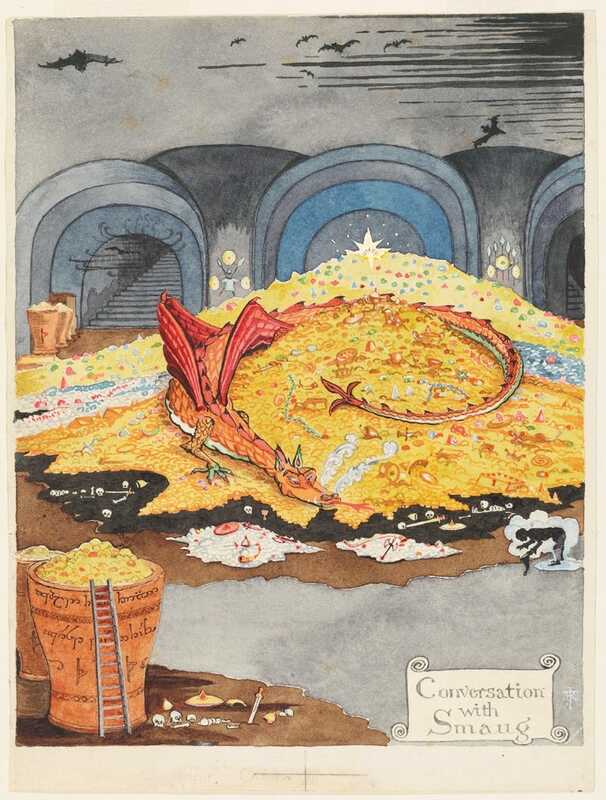 Here’s a watercolour painted by Tolkien for the first American edition of The Hobbit in 1937. You can see Bilbo, made invisible by his very special ring, speaking with Smaug the dragon, who’s lounging across his giant pile of treasure. You can check out all of the images from the exhibition in the official catalogue for Tolkien: Maker of Middle-earth, which has colour reproductions of letters both official and personal, photographs, notes, manuscripts, hand-drawn maps, and artwork, among tons of other artefacts — plus detailed explanations contextualising each piece — packed into its 400 pages. The book cover incorporates a 1937 Tolkien watercolour titled Bilbo comes to the Huts of the Raft-elves. If you’re anywhere near Oxford, you can check out the exhibit in person; it’s free, but you need to get tickets in advance (information on how to do that here). It runs through October 28, 2018 in the Bodleian Libraries at the University of Oxford.